The hard work of the SBINZ crew is now being represented in a brilliant new publication. Since 2004, I have seen the organisation go from strength to strength, being well represented both in NZ and abroad. We are proud to release the new Snowboard Manual, Your guide to teaching and riding from beginner to advanced. Download it free here. Below are are some screen shots with some imagery of myself, shot and edited entirely by the talented Keith Stubbs. Outside Sports have been incredibly supportive helping me ride the best gear and they keep it running well, both winter and summer. Big thanks to Scott, Richard, Mark, Kazu, Elmo and Darren. Also to Carlos at Neversummer for the great board! Coaching at Rookie Academy, Snowsports NZ and SBINZ this season. Bring it on! A credit to past and present SBINZ trainers who have contributed to the development of the snow sports in New Zealand. A clear visual picture will always help a learning process. It definitely helps when the delivery is clean, simple and gives the student a solid understanding of the task. 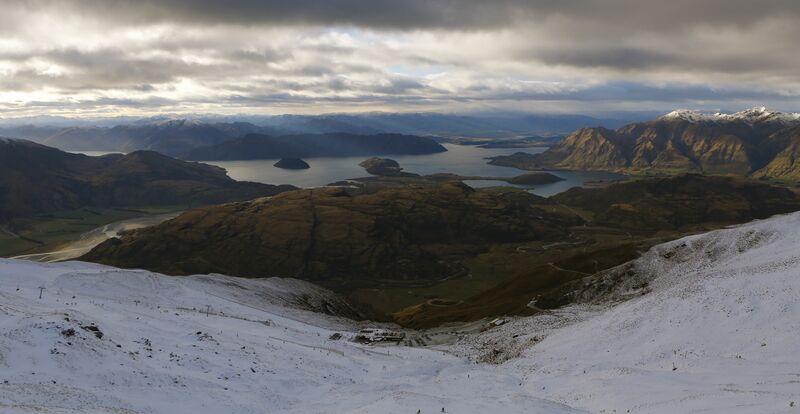 It was a privilege to not only present these tasks, but to do them on a world-class mountain like Treble Cone. The following video was a project the SBINZ team and I worked on during a couple of days during the NZ season of 2014. Great work by http://www.360newzealand.com and the SBINZ Trainer crew. Cheers boys! Please excuse the out-takes at the end… they insisted on including them! To represent SBINZ and travel with such an awesome team gets me stoked. Especially when the next trip will be to Argentina 2015 during September! Earlier in 2014, myself and 5 other fortunate souls were chosen to represent the hard work that the SBINZ team have put in over the years. 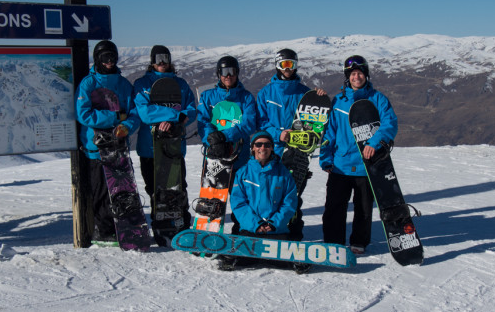 Every four years the world of snow-sports instruction sends a team to the Interski conference. Up to 35 nations will showcase their development in skiing, snowboarding and telemark. It is an exciting time for us because we will showcase to the world the teaching theory, riding style and our unique outlook on snowboarding and it’s instruction. For me, it will be the most unique learning environment I have ever been in. The opportunity to discover new tactics and technical information is literally world-class. With over 10 years in the instruction world I have had the pleasure of meeting many inspiring instructors, athletes and management that have all taught me something unique. In Argentina, we will have the chance to further out skills and bring home to our New Zealand instructors a fresh insight on how we can better the sport. Bring part of Interski will also be a massive celebration for snowboarding and the people that make it what it is! The count-down has started and we are stoked to be part of it. Stay tuned on the New Zealand blog over the next year and follow the path we take with NZSIA. If you are intersted in sponsorship opportunities please get in touch with me. 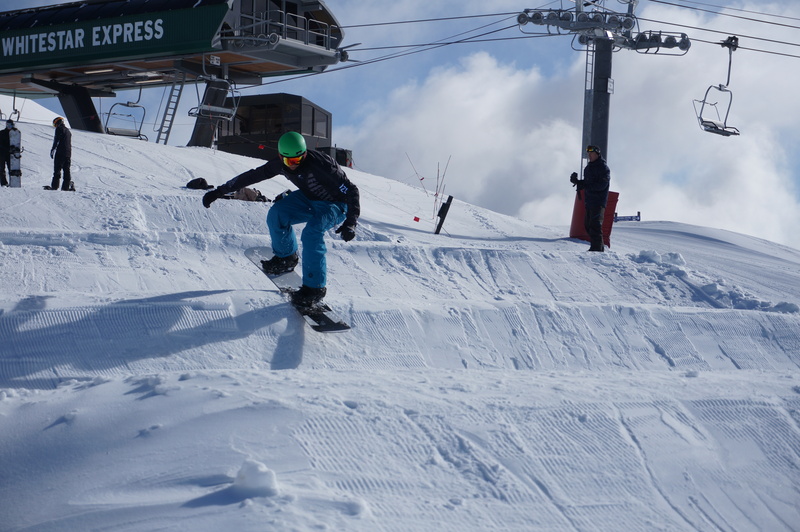 The SBX course shaped up beautifully throughout the week challenging athletes from Australia and New Zealand to discover new limits of speed, agility and edge control. I was fortunate to be up there for a few days helping the NZ riders Carl Murphy & Duncan Campbell on their form. After working with Carl during the 2014 season on Treble Cone, it was great to see his progression using the skills from riding TC’s challenging terrain & strength training from the gym. Variations of the AirBag were set up along the Super Pipe wall along with the bottom. The biggest bag in the southern hemi was catching athletes on boards, skis and even a sit-skis! 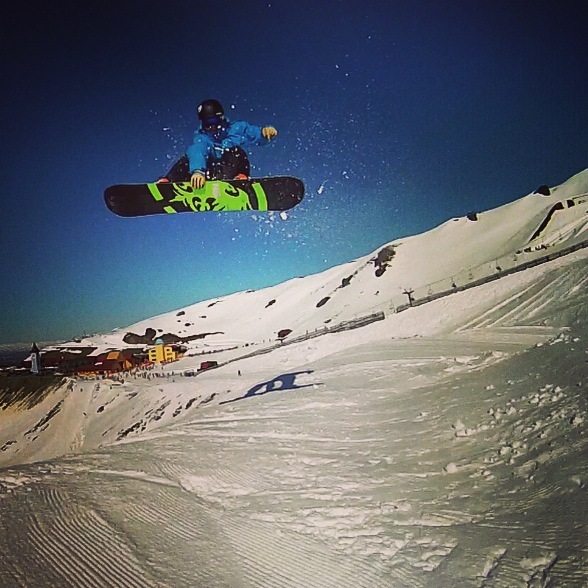 Jody Blatchley has been ruling it on his sit-ski this season and nailed his first back-flips onto the giant pillow. Impressive! Triples, triples, triples… Cheers of Stoke rippled across the home basin as new personal bests were made. Coaches tactfully challenged their athletes to bring new found air awareness on the jump line. Fewer speed-checks were made every day as racers pushed themselves over the rollers and berms. Old fears were controlled more and more each day as new heights were reached. 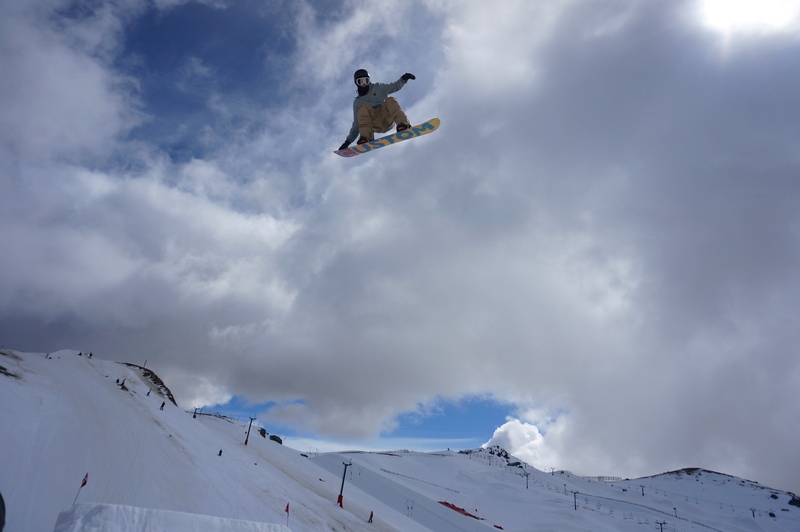 Exciting and progressive times all week as many of them raised the bar getting ready for the northern hemi winter… Breckenridge will be a destination of choice for the park riders along with La Molina Spain, where Carl will compete in his first F.I.S race for the winter. 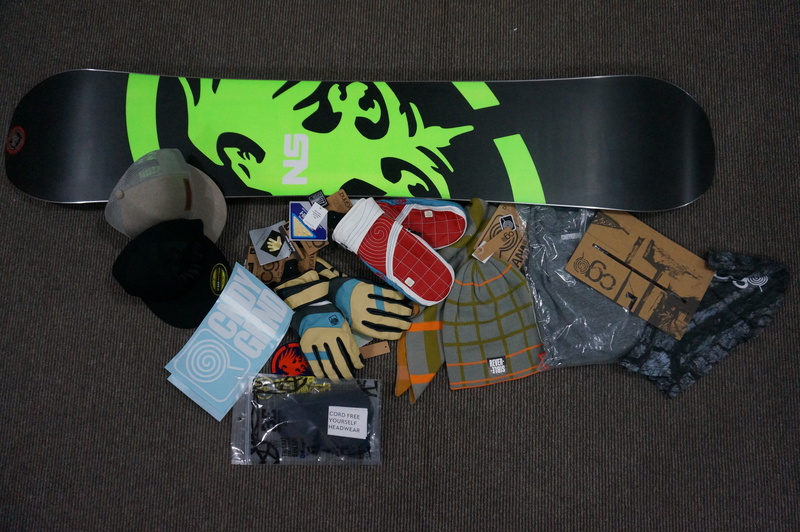 Much to look forward to during the next year and it has never been a greater time to be involved in snowboarding. Treble Cone DB Export Banked Slalom – 1 week to go! The quad lift reaches tower 6 and the SW wind really starts to kick in… Like a sand-blaster, snow is picked up and shot into me, particularly my glove-less hand which is hoping to get a photo of how epic Treble Cone’s pipes are looking. 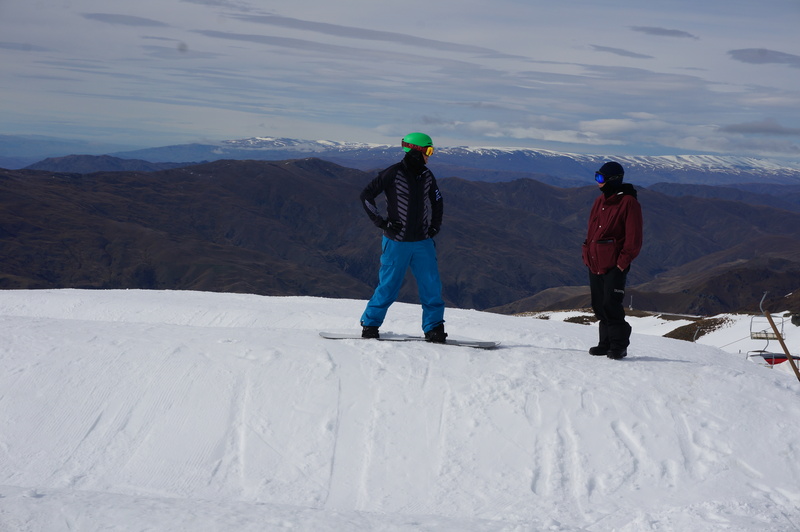 This last week on Treble Cone has treated many skiers and riders to some cold winter conditions. The gullies are loaded with some high quality snow which has been getting sprayed all over the place by stoked locals and visitors. The great news is that conditions are looking mighty fine for the Banked Slalom which is being held in 6 days time. An international flavor to the start list is usually expected next weekend including Olympians, World Cup racers and die-hard locals. All of which have an equal chance of winning a cash prize pool of over $2000 and assorted prizes. 35 years young? No problem, there is a Masters category just for you. 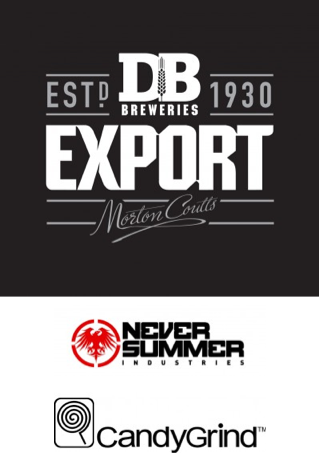 Thanks to the generous and very supportive sponsor Never Summer Snowboards and Candy Grind, Treble Cone will host one of the worlds most famous snowboard gatherings. Get your kit tuned by the pros at The Wax Room be sure to enter and I look forward to seeing you there! An anxious wait for snow is never easy… When and how much white stuff will we have the pleasure of shredding? That day finally came on Friday when Treble Cone opened her gates and the crowd went wild! The coverage in the saddle was much more than expected, with only a few patches of tussock to keep challenged as you reached the quad lift. 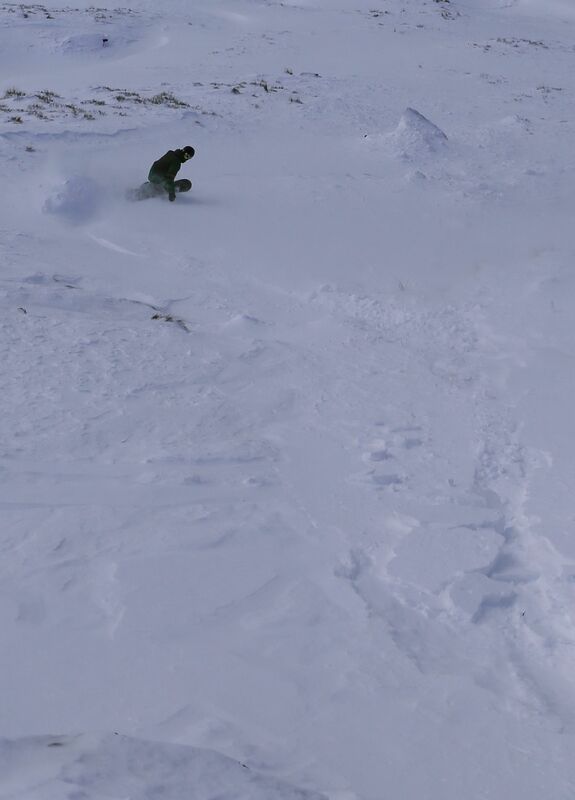 Avalanche debris looked soft from afar, but far from soft… It claimed a few unsuspecting shredders including myself. An involuntary front-flip/rag doll will always provide some entertainment for the onlookers. Wind picked up in the afternoon, however it was ideal because the tracks were filed in for the next day skiers and riders to enjoy. 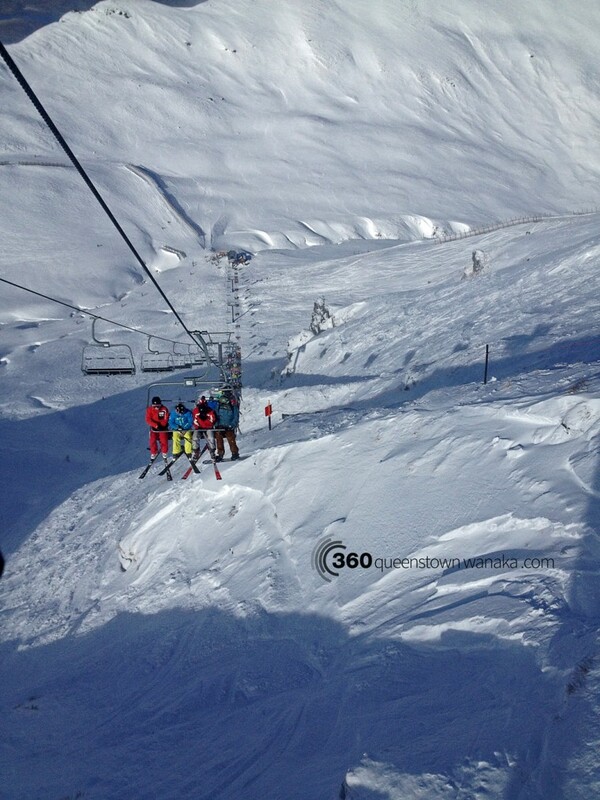 See www.360queenstown-wanaka.com for daily information on where to ride. Even though it was a delayed opening, there was still plenty of terrain and snow to get the legs burning again. Time to get make stretching routine a habit again and dust off the foam roller! Big thanks to Lachlan at Clean Line Producitons for the shots from Saturday. Lachlan’s film is showing at the out the Mountain Film Festival tonight. 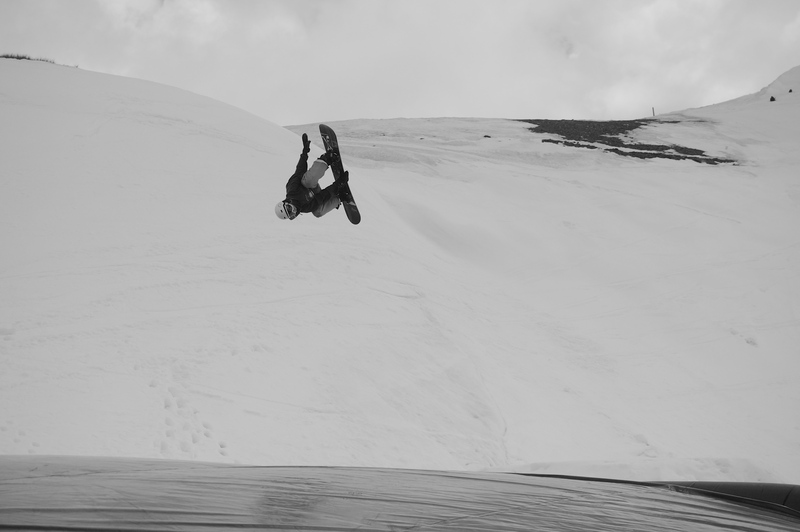 It follows a story of Colin Boyd on his path to compete in the World Freeride Tour. 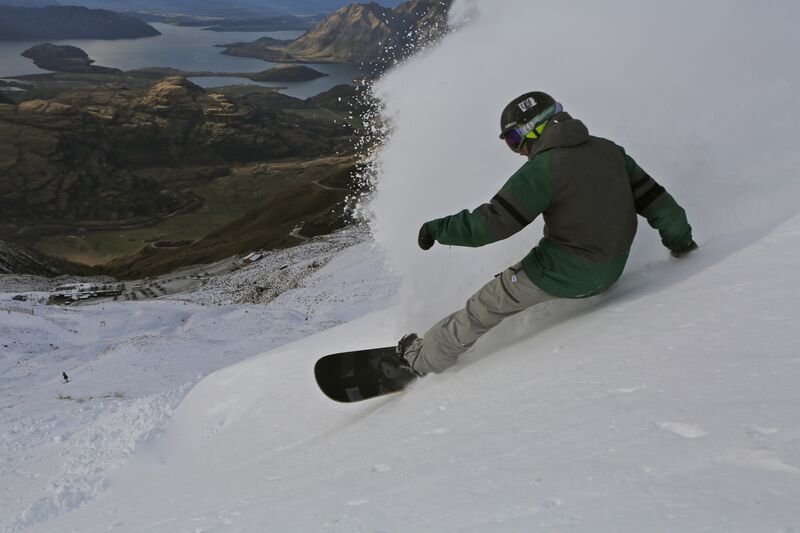 The weeks ahead will be training the new and return Rookies on Treble Cone. A great season ahead! Carl at Winter Imports works hard to ensure that Instructors and leaders in the industry are looked after. He provides the support necessary and helps out the best he can, especially to qualified instructors. Really looking forward to the Treble Cone season ahead and riding on Never Summer again! Any questions on the gear, just ask. New kit for the season including the RipSaw!